Many of us have memories of school lunches when our parents attempted a gourmet creation (in my case—tomato, basil and philly cheese), rather than sticking to the safety of Vegemite, jam or peanut butter. Come lunchtime those gourmet delights were often soggy messes—but sometimes there was a surprising culinary delight. As with so many staples within our food repertoire, someone had to originally invent the idea. In the case of the humble sandwich this was, according to historians, John Montagu, the 4th Earl of Sandwich, who requested a convenient way to convey food to his gob without interfering with his gambling. Sadly, the clever cook—the real hero—was never acknowledged, likely due to being only of the servant class. In today’s world, inventing, evolving and celebrating food has become its own religion and we bow down to celebrity chefs who inspire us. Study any of your favourite chefs on TV or admire their masterpieces in a recipe book or magazine, and you begin to truly appreciate the need for a unique space if you’re to experiment and master new food ideas, and most importantly, to share those new ideas with your customers. 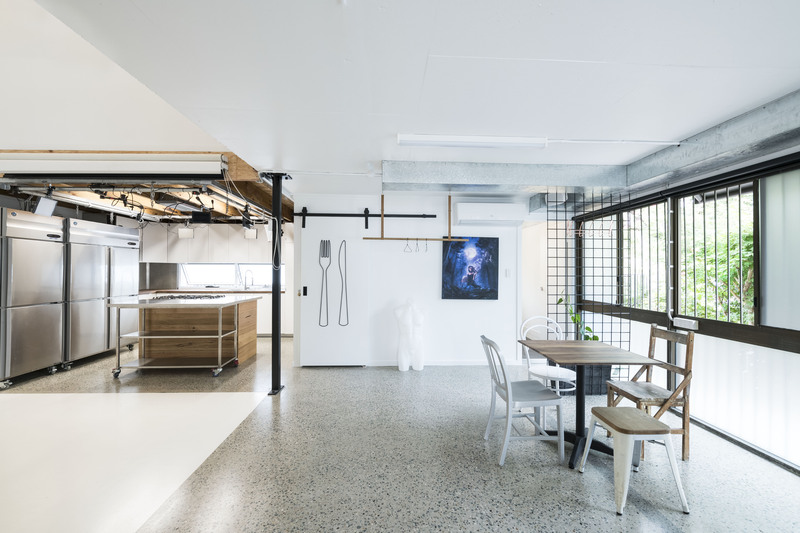 It was that same need for creative sanctuary that led to the purchase and full fitout of the Pollinator—a purpose built photography and creative studio for hire. Located at Windorah St, Stafford, the studio is close enough to the city to not need a packed sandwich to travel to—yet far enough away to not have to deal with dreaded parking and loading issues. 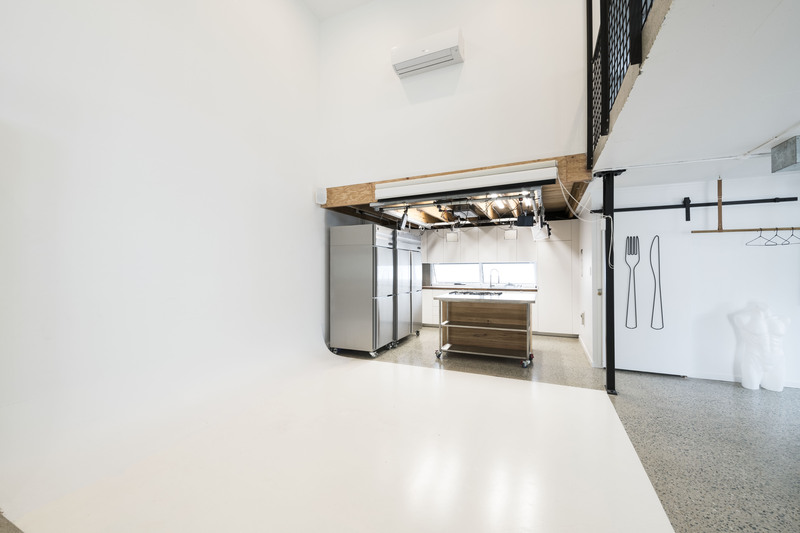 The Pollinator studio has: both client and non-metered on-street parking; a full commercial kitchen including industrial fridges and freezers; full size gas burner stovetop and oven; and is complete with a full lighting gantry overhead. The set-up is ideal for both stills and video, and is the apex of amenity for professional food visual productions. Check out the location on Google Maps. Pollinator is not simply a commercial grade, visual food production space but has: natural lighting available from glass lined walls and a full height industrial roller door; a full barista bar; client lounge; and permanent cyclorama for corporate and fashion photography. Upstairs also functions as a co-share space for creatives short of room in which to work and meet with clients. Stafford City shopping centre and Bunnings neatly bookend the studio if you ever run short of ingredients, client snacks or interesting props. While there’s sure to be an official black tie soiree down the track to launch the space, you can sign up to the VIP list by clicking here. If you’re interested in checking out Pollinator for your next creative endeavour, contact the team today. Get work done, impress clients, mingle with pros, make creative life easier—flexible studio space ‘done for you’. Contact us at Pollinator today.